The camp of the D’Tigress received a major boost on Saturday following the arrival of team captain, Adaora Elonu. Adaora who was recently named team captain by Head Coach, Otis Hughley left the team’s camp in Atlanta to join her new club, Atlanta Dreams for the WNBA playoffs. 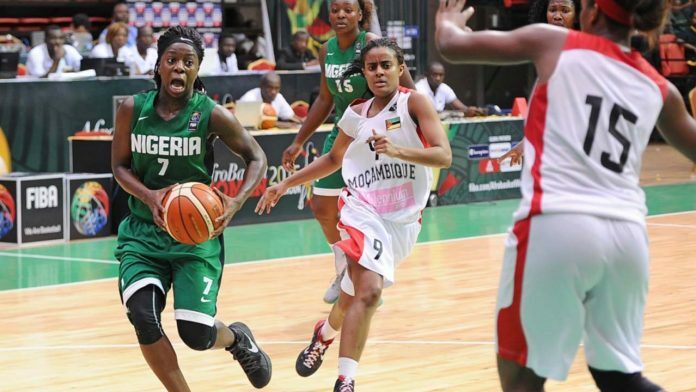 Speaking on arrival, the member of the 2017 Afrobasket winning squad who is excited to be back with her teammates in Lagos said leaving the camp in Atlanta to join her new club was a difficult decision to make. She said that participating at the World cup will be a good experience for all the players which will definitely mark a new chapter in their careers as professionals. She was coy when asked how far the team can go at the World. With her arrival, the number of players in camp has now increased to 15 with the Technical Crew expected to announce the final 12-man roster for the 2018 FIBA Women World Cup in the coming days.